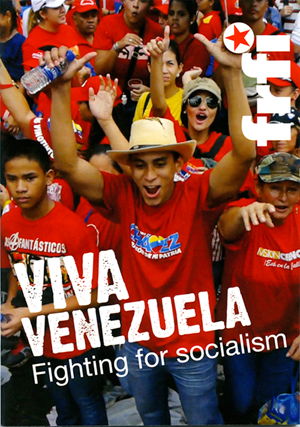 - On Mayday, FRFI students in Salford joined the TUC march and called on others to mobilise in defence of the Venezuelan revolutionary process. - In Newcastle, Jorge L Garcia, consellor from the Embassy of Cuba, joined RCG comrades at a Mayday rally to defend Venezuela. Whilst in London the comrades took to the streets with the Cuban and Venezuelan flags, calling for solidarity with the Bolivarian revolution. No to foreign intervention - Hands off Venezuela! Defend the struggle for socialism!